Dr. Kumar M.R. Bhat is a Professor in the Anatomy Department of Anatomy at Kasturba Medical Collage, Manipal University He received his Ph.D. Degree in Radiation onco-cytogenetics from Manipal University in 1999 and earned his postdoctoral from university of Wake Forest & university of Wisconsin. 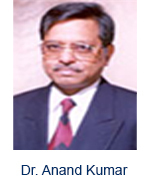 Then worked as a Assistant, associate and professor in Kasturba Medical college, Manipal University for 21 Years. He is having 21 Years of Experience in the field of human clinical anatomy, embryology, histology, genetics and cell and molecular biology. Her Area of Expertise includes: Human anatomy, embryology, histology, cancer biology, cell & molecular biology, Natural medicine and their mechanism of action. He is the author of more than 70 international publications, two book, and recipient of 8 research grant from Govt. of India agencies. He has been awarded as Good teacher in Kasturba Medical college twice. 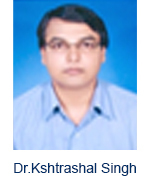 Dr. Kshtrashal Singh is a Lecturer in school of Physiotherapy, Faculty of Allied Health Profession at the Asian Institute of Medical Science and Technology(AIMST) University, Malaysia .He received his Ph.D. Degree in Role of Physiotherapy in AIDS Wasting Syndrome from CMJ University in 2013. He worked as an Assistant Professor in School of Physiotherapy, Mekelle University Ethiopia for Five years then Indian Institute of Health Education and Research, Patna, Bihar, India for Two years and in RVS College of Physiotherapy, Coimbatore, Tamilnadu, India for one years. 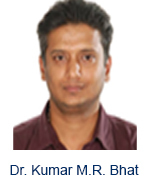 He is having 8 Years of Experience in the field of Physiotherapy .his Area of Expertise is Orthopedics Physiotherapy. 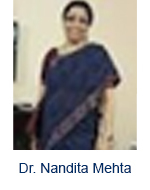 Dr. Nandita Mehta is a Professor and Head in the Department of Anaesthesia, at the University of ASCMOS, Jammu & Kashmir, India. She received her MBBS 1987–GMC Jammu as well as MD. Degree from PGIMER Chandigarh in1991. Then worked as a Clinical Observer at Russels Hall Hospital, Dudley Group of Hospitals (NHS) UK, Chronic Pain Management, May 2008. She is having many years of experience in the field of Medical Sciences. Her Area of Research Interests includes: Regional Anaesthesia, Critical Care, Paediatric Anaesthesia, Acute & Chronic Pain. She is Post Graduate Examiner & Thesis Checker in Baba Farid University, Punjab. Publications: 15 in National & International Journals. Guest Faculty Paper Presentation: 20 National & International Conferences. She is a Renowned Member and Associates in the following Societies: Indian Society of Anaesthesiologists, Indian College of Anaesthesiologists, Indian Society for Study of Pain, International Medical Society Association.